Becoming Odyssa is more of a journey than a book. This is apt, considering that it tells how Jen Pharr becomes ‘Odyssa,’ and how the girl from North Carolina and the girl who hiked the Appalachian Trail meld into the same person. Though the idea of reading a hiking book doesn’t appeal to me, reading a book about a journey does. Becoming Odyssa far surpasses my expectations. Jen Pharr is just an ordinary girl — an ordinary girl who wants to thike the Appalachian Trail. She starts off with little more than an old frame backpack and a will to reach Maine. But after a stop at her first night’s shelter, Jen signs her name in the trail log: Odyssa. Like many hikers, Jen adopts a “trail name:” Becoming Odyssa tells how her trail name connects with her ‘real’ life as Jen Pharr. They say that truth is stranger than fiction. Though it’s over-used, this expression holds true with this book. On her first night on the trail, Odyssa is struck by lightning. 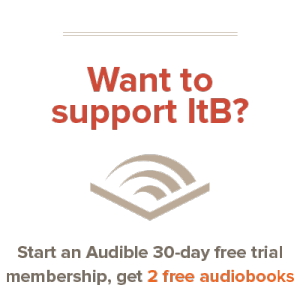 She proceeds to brave a religious fanatic, a persistent stalker, swarms of mosquitoes, snowstorms, other unfriendly hikers, sickness, injury, and foot trouble throughout her journey; and that is the abridged version. This 260 page book is packed with real-life experiences: absolutely packed. It is the story of a real person, and the book manages to reproduce such a real life with very plain and mundane clarity. By the time she finishes the trail, Jen has become Odyssa. The experience of hiking the AT shapes her drastically throughout the book. 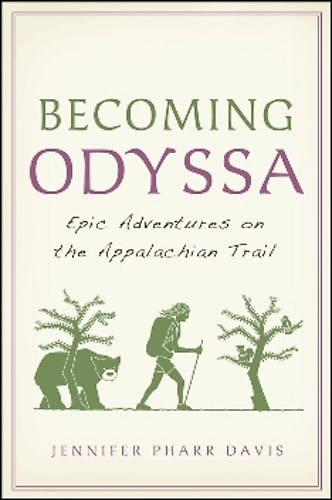 Becoming Odyssa very plainly recounts the account of traveling a 2,800 mile trail, and nearly without intending to, tells of a simpler life, where little pleasures may be enjoyed, and savored, and blessings such as a hot shower and a warm bed are craved. The prose is equally sparse. Okay, it’s not prize-winning writing, but it’s simple and honest, much like the book as a whole. The word pictures, if not especially vivid, stick in your head with all the tenacity of a simple trail running through the woods. And while the writing isn’t especially outstanding, the book is gripping in its own way. Like a journey, you won’t be able to put it down until the journey has ended. This is real life, and real life is rarely packaged neatly. This book has some disturbing images, and deals with real-life issues. Stalking, misery, and general musings on life are not avoided in Becoming Odyssa. Though the content is no worse than real life itself, it’s something to keep in mind before handing the book off to younger readers. You don’t have to be a hiker to enjoy this book (I’m certainly not) — though perhaps hiking will sharpen your enjoyment of it. This is a book that anyone can relate to: a rite of passage from an insecure college student, to an adult ready for life, focused and holding on to what matters in life. I recommend Becoming Odyssa heartily.